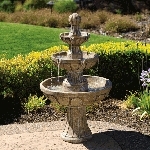 The unique, inspired structure of the Portofino makes it a captivating addition to any garden or patio. Finished with a brown, earthy color, its main component is a slender, curved pillar. 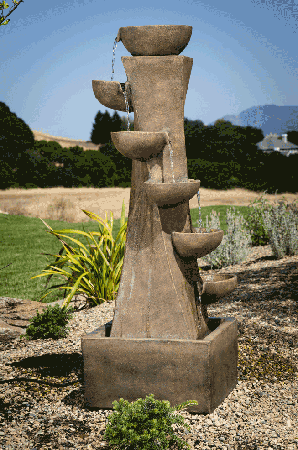 A series of clay-like bowls twist around the pillar from top to bottom, and water circles around it, flowing from one bowl into the next.